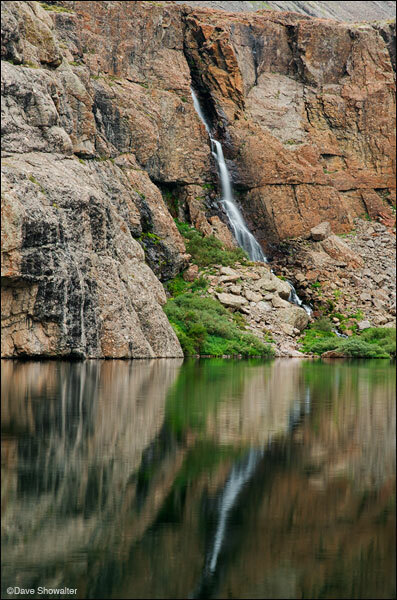 Rare in the Colorado Rockies, the Willow Creek waterfall flows into Willow Lake high in the Sangre De Cristo Range. Willow Lake can be accessed by backpacking a steep trail that begins near the town of Crestone. The trail gains 2,800 vertical feet in five miles. Photo © copyright by Dave Showalter.